Included in Eater's "Every Spring 2018 Cookbook That Matters"
“Aperitivo” or “Apero” is an integral part of Italian lifestyle—it is the daily ritual of meeting late afternoon or early evening for a cocktail and a few nibbles. As a renowned expert on food styling and entertaining, and currently restoring a castle in Tuscany, Annette Joseph is an experienced, authentic guide to la dolce vita of Italy. 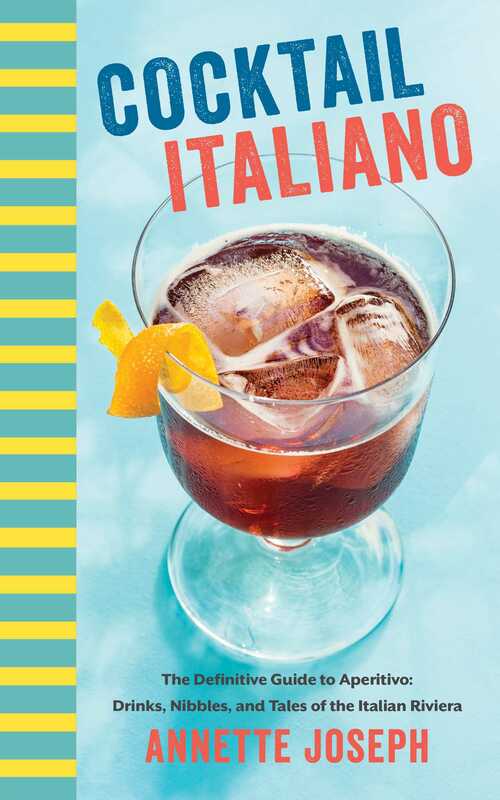 With chapters on twelve major cities along the Italian Riviera (including San Remo, Genova, Portofino, and Santa Margarita), each will feature unique cocktail recipes as well as regional appetizers traditionally served with cocktails, often as a beachside ritual. You’ll also find sidebars offering detailed info about local distilleries, celebrity barmen, cultural idiosyncrasies of bar life, famous hotels, and much more. Summery, beachy, and filled with beautiful photographs, Cocktail Italiano will excite readers who are drawn to the beauty and style of Italy, travel aficionados, cocktail lovers, photographers, and will offer the perfect inspiration to enjoy a bit of Italy at home (or, toss it in your bag and head to Milano!). Annette Joseph is a nationally known expert on entertaining, cooking, food & photo styling, and interior design stylist for numerous lifestyle magazines. She studied at the Culinary Institute of America in both upstate New York and Napa Valley. With a solid background in everything from DIY projects to cooking, Annette has worked on countless freelance projects with cookbook authors and top-notch magazines, such as Better Homes & Gardens, Country Homes, Redbook, and People, and is a regular lifestyle contributor and entertaining expert on The Today Show, Better Mornings, and Martha Steward Sirius Radio. Her recipes and party ideas have been featured in Better Homes & Gardens, DesignSponge, MSN, the Huffington Post, Southern Living, and Woman's World, among others. Annette splits her time between Atlanta, Georgia, and Tuscany, Italy, where she and her husband are restoring a medieval fortress.